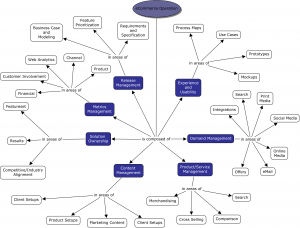 This is my sixth post on the defining elements of an eCommerce Operation. Previously, I’ve written about management in the areas of solution ownership, content management, product management, demand management and metrics management. In this post I’ll explore elements related to release management activities. Release management provides for the justification, prioritization, and specification of software that comprises your eCommerce portfolio. Certainly software development is a discipline unto itself, but these elements cover the basic disciplines and functions of the process. This area of your eCommerce operation needs to focus on the ability to get work started, the ability to prioritize a lengthy queue of requests, and the ability to specify what to build. Software modeling is another term with a diverse meaning and that comprises many disciplines, tools, and methods. For an eCommerce team, modeling can be a piece of the front end project justification. 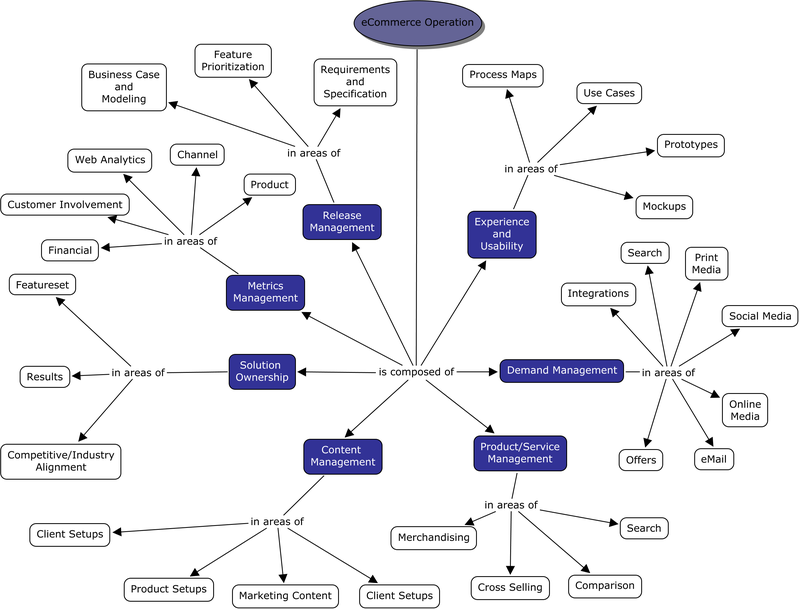 A software model provides a simple representation of the eCommerce release for the purpose of relaying its purpose, meaning and structure. The model may be composed of graphics, wire frames, or flow charts. Documenting requirements is another area that’s a discipline all unto itself and their are many alternative methods for requirements specification. The important aspect of this part of your organization is that you have team members that a) know the business b) know your customer needs and c) are flexible to be able to modify requirements with changing business conditions. Rather than focusing on any one particular method, I advocate having the right type of team member on point for requirements gathering and specification. Adaptability to change to is paramount because the needs of the business and dynamics of your environment will change.